Responding to Requests For Attention – Every day, we point things out to people we want to connect with, and we do this a lot in our intimate relationships in particular. For example, the other night Suna called to me, “Kim, come downstairs!” I was in the middle of something (I always am!) but I got up and went downstairs to see what she wanted. 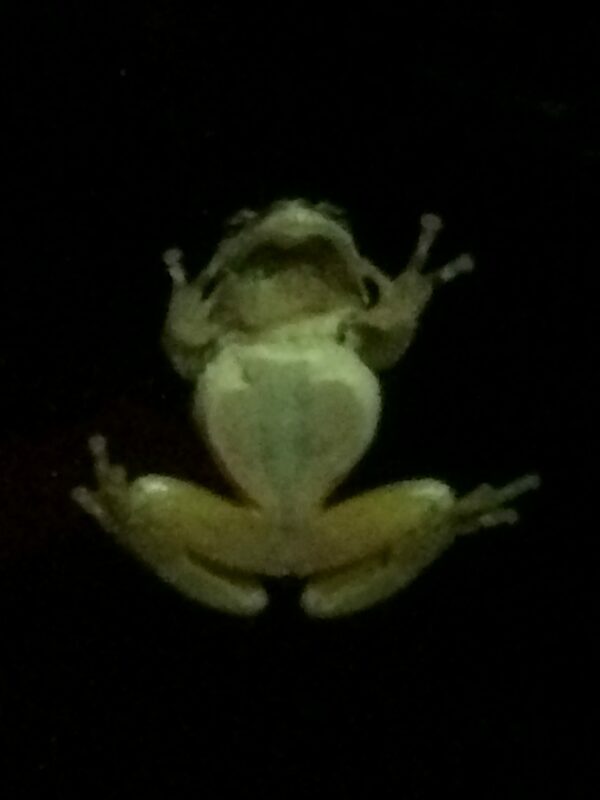 Turns out, there was a frog on the outside of our sliding glass door. 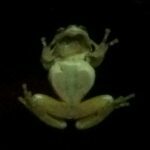 We admired it for a few moments, took some photos, and shared a few stories about other places we’d seen frogs. I think we gave each other a hug and a kiss, and then I went back upstairs. Sure, now I had to get back into whatever it was I was working on, but we had gotten to share that moment together. If I hadn’t gone downstairs she could have felt hurt, even rejected and we wouldn’t have had that opportunity to connect. As the researchers explain it, I responded to Suna’s bid for connection by turning towards her, rather than turning away. If I had turned away, I might not have responded at all, or just yelled back, “I’m busy!” or “What do you want?” Those responses would all be classified as “turning away,” and while they might not seem like such a big deal, over time the negative effects of consistent “turning away” from your partner add up. So much so that in this study, those couples whose marriages dissolved after 6 years only “turned towards” each other 3 out of 10 times they made a bid for interest and support, while those in happy marriages “turned towards” each other almost 9 out of 10 times. When you respond with interest and support to someone, you are letting them know that you care about them and the things they are interested in. Responding to Good News – The other action that allows researchers to pinpoint relationships that will last from those that won’t was how people reply to good news from their partner. Most of us know how important it is to be there for the people we love when things go wrong – but what about when they go right? This can actually be even more important. Imagine that you just got a promotion at work, and you share that news with someone you care about. Ideally you’ll get a “That’s great!”, maybe a hug or a high five, and they’ll want to hear more about it. This makes you feel validated and loved. But if that person chooses a negative way of responding – not acknowledging the good news, mumbling “Good job,” while staring at his/her computer, or saying something critical, such as “Great, now you’re probably going to be spending even more time at work” – they are sowing some rather toxic seeds. In this case, the relationship is much less likely to last. Personally, I’m going to try to keep these in mind the next time I’m tired and grumpy, and don’t really feel like engaging when someone is making a bid for my interest and support. Because every time we turn toward someone or share their joy when they have good news, we are being kind – and this is what keeps us together. 1 Smith, Emily Esfahani. “Masters of Love,” The Atlantic, June 12, 2014.